It is a sad but all too common story: someone comes up with a terrific design that is universally loved by regular people around the world…but it never makes it into production. Thankfully, this was not the case with the Folding Plug designed by Royal College of art student Min Kyu Choi. 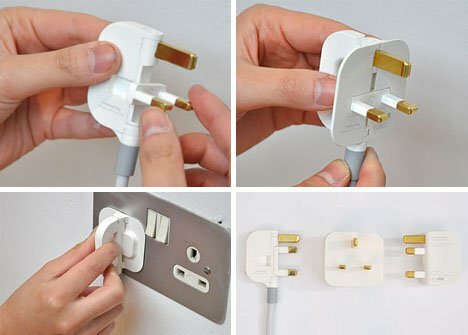 The redesigned plug was the result of the designer’s frustration with the typical bulky UK plug. He noted that, particularly when used with the ultra-thin Macbook Air, traditional plugs were ridiculously huge. He designed a new type of plug with pivoting prongs, allowing it to be transported painlessly. 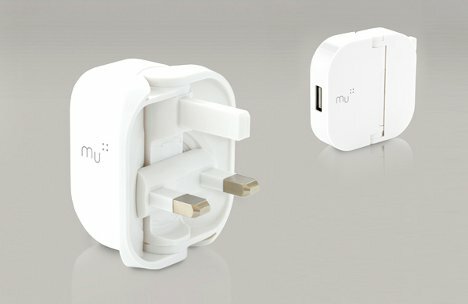 Much to the delight of everyone who has been following the journey of this incredible design and the determined designer, the folding plug concept has been turned into a real product called Mu, though it is slightly different from its original form. It is available as a USB adapter, allowing all kinds of gadgets (though not laptops) to be plugged in directly to the wall. The UK-only USB adapter is only the start for Choi; the company he created to market his designs is working on other fantastically creative products.